The 1980 Olympics, held in Moscow, were embraced with much national joy, but also international discontent. 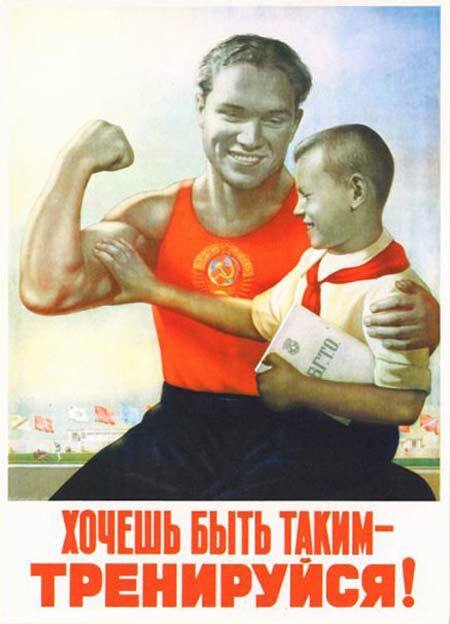 After doing well in the previous Olympics, the Soviets repaired and built new training facilities and stadiums to prepare their athletes and show their world their pride and skill through sports. But the Soviets continued to prepare by cleaning up and paving new streets, building hotels, and even an airport. They produced propaganda to counterbalance the negative attention in the West. 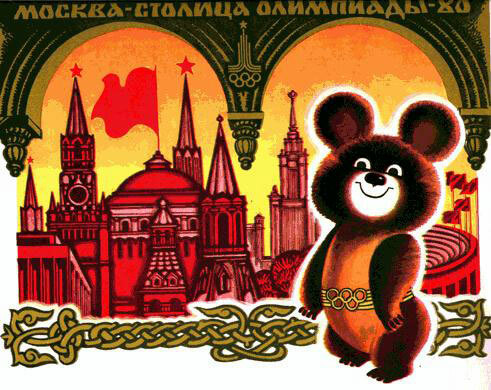 In turn, over 5 million people came to the Moscow Olympics, greeted by Misha, the inflatable bear mascot for the games that was released into the sky at the closing ceremony. Interestingly, the next Olympics were held in the United States which provided a good opportunity for the Soviets to get payback . The Current Digest had many articles about Russia’s stance on the 1984 Olympics held in L.A.. America was criticized for having highly polluted cities, how bad the transportation was, and the inadequacy of the training facilities, probably all out of spite. “EVXpress – Editorial) -TWOARD THE OLYMPICS – The Current Digest of the Russian Press, 1977 , No. 31, Vol. 29.” EVXpress – Log In to Browse Databases. Accessed April 23, 2017. https://dlib.eastview.com/browse/doc/13633072. “Milestones: 1977â1980.” Office of the Historian. Accessed April 23, 2017. https://history.state.gov/milestones/1977-1980/soviet-invasion-afghanistan. I like the way you contrasted the emotions Russians had for these Olympics as opposed to the West’s feelings. It also goes to show how powerful the US is in terms of causing many other states to boycott the Olympics as well. Your sources were good, and good job for linking to someone else’s blog! Good job linking your post to Max’s! That’s the kind of connection that we like to see. I think it’s interesting that the Soviet Union had the amount of success it did with these Olympics despite the fact that 50+ countries boycotted it. Great post overall! I find it very ironic that the US decided to ultimately not participate in a peaceful international event (the 1980 Olympics) as a way to contest an international violent conflict (USSR invasion of Afghanistan). Surely there were restrictions and other tensions that caused this decision to be made, but it highlights a big problem/question in international relations still disputed today: Do you punish another country for committing violent acts by refusing to have peaceful relations with them? Or by reacting violently in response? These are convoluted situations to say the least.